Mr. Dempsey Tinsley, 95, of Camp Hill died Thursday, September 20, 2018 at Dadeville Health Care, Dadeville. A memorial service will be held at Murray Chapel A.M.E. Zion Church, 130 Brummitt St., Camp Hill on Wednesday, September 26, 2018 at 2:00 p.m. (CST) with Rev. Samuel Evans officiating. 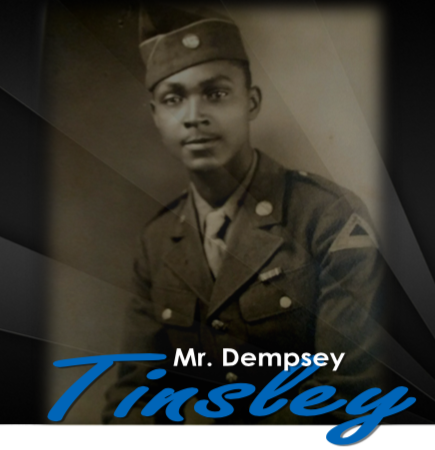 Mr. Tinsley is survived by his two sons, Larry (Krista) Tinsley, Sylacauga and Ronald (Yun) Tinsley, Harker Heights, TX; one sister: Myrtis Hughley, New Kingston, PA; eight grandchildren, six great-grandchildren and a host of nieces, nephews, other relatives and friends. So very sorry for your loss, may our loving Heavenly Father comfort your hearts. He counts the number of the stars; He calls all of them by name.-Psalm 147:4. Its very comforting to know your loved one is resting safely in God's limitless memory. There is(are) 1 unapproved comments at this time. We are waiting on a moderator to approve them.